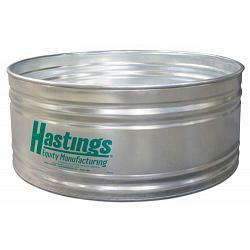 Our Hastings 22GA Green Label steel round stock tank (5' x 2') has been the industry standard for decades. Like the Hastings Black Label stock tanks, our Green Label stock tanks are manufactured with the same attention to detail and quality workmanship. To create a more price sensitive option, we use a 22GA sidewall on our Green Label tanks while still utilizing a 20GA bottom. These tanks have a one year warranty and the following features: G90 Steel throughout, 4-ply lock seams with contained sealant for maximum leak protection, .875" steel pipe rolled into the top of each tank to create a crush proof rim, long lasting zinc plated .75" one piece threaded plug assembly, largest selection of sizes available to meet your needs. Steel tank sizes are nominal dimensions. All sizes can be nested in pairs or sets so we can ship these products easier and at the same time lowering your freight costs! You can save hundreds of dollars in freight by purchasing more than one (1) tank at a time. Hastings Equity Manufacturing offers a 1-year warranty on the Green Label stock tanks. Please SelectAluminum Tank IndustriesATTABushman USACustom Roto-Molding Inc.Desert PlasticsDuraCastFill-RiteFol-Da-TankHastings Equity ManufacturingHusky Portable ContainmentIMACC CorporationNorwescoOnkenPinnacle Water TanksPoly-MartPolyJohn EnterprisesPowerblanketQuadel IndustriesRDS ManufacturingRhino Tuff TanksRonco PlasticsSkolnik IndustriesTexas Metal TanksWalrus Pump Co.
TankAndBarrel.com is an authorized dealer for all of our tank and barrel manufacturing partners. We have the ability to sell all of our products at a greatly reduced price due to the fact that we keep our overhead costs to a minimum and our products ship direct from the manufacturer to you, eliminating the need for us to maintain a large storage facility! 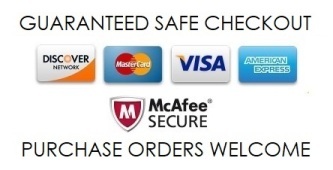 Shop around, you'll see that TankAndBarrel.com has the lowest prices in the business.